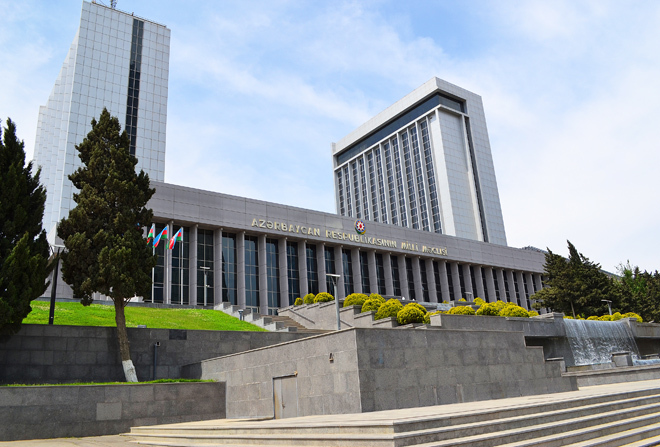 A parliamentary delegation led by Chairman of the Azerbaijani Parliament Ogtay Asadov will leave for St. Petersburg on April 17 to participate in events of the Interparliamentary Assembly of Member Nations of the Commonwealth of Independent States (IPA CIS), AzVision.az reports with reference to the press service of the parliament. The delegation is comprised of Chairman of a parliamentary committee Ali Huseynli, MPs Khanlar Fatiyev, Adil Aliyev and Rasim Musabayov, Head of the Parliament’s Office Safa Mirzayev and other officials. The agenda of the IPA CIS session includes, among others, the following issues: organization of election observation in the CIS member countries, monitoring by international observers the elections held in Moldova and Armenia, preparations for 75th anniversary of the Victory in the Great Patriotic War of 1941-1945, and legal support for antiterrorism activity. The participants of 49th IPA CIS Plenary Session will also discuss model draft laws including “On Mortgage and Advocacy”, “On Forensic and Expert Activities” and “On the Tax Code” draft laws. Alongside the session, a conference on the fight against international terrorism is also planned to be held. The members of the Azerbaijani delegation will share their views and offer proposals on the issues to be discussed at the plenary sessions of the IPA CIS Standing Committees. During the visit, meetings of Ogtay Asadov with the heads of the delegations participating in the IPA CIS events are envisaged. The visit will continue until April 19.